Part of the Capstick instructional series, in which professional game hunter Peter Capstick invites viewers on exotic location for a demonstration of technique, Capstick: Hunting the White Rhino briefs hunting enthusiasts on the strategies and risks of hunting the white rhino. 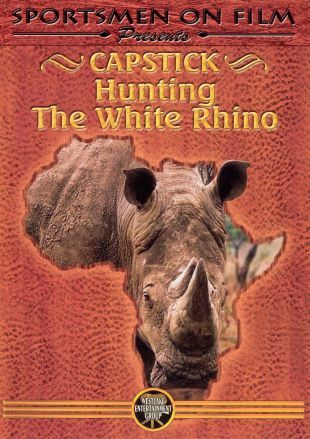 Capstick offers folks at home an overview of the history of the rhinoceros and contrasts the black and white rhino. Set in Thabazimbi, South Africa, the program walks viewers through a white rhino hunt. Along the way, Capstick captures a wart hog and a majestic southern impala.